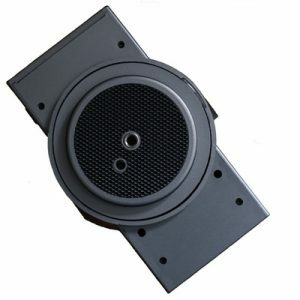 The MP-360 mounts with a 1/4″ 20 screw mount on both the top and bottom. It is designed to mount to an existing tripod head and not directly to tripod legs. 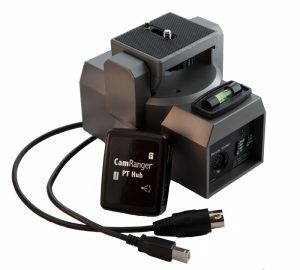 When the PT Hub is connected the CamRanger app will display a tripod control tab. The directional pad control adjusts the pan and tilt of the MP-360. The slider adjust the tripod head movement speed. 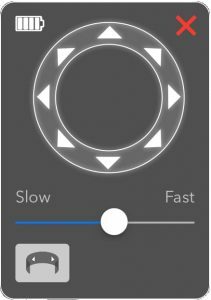 The panorama options allows automated panoramas by providing the number of shots to take, how many degrees in total to move, and the direction to move.